RootsWeb is down! 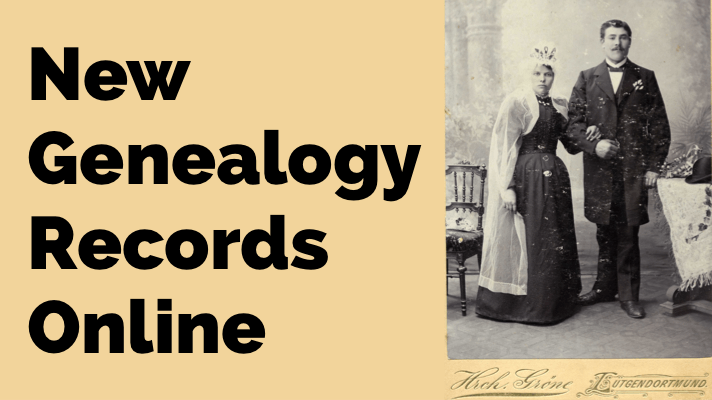 This important free genealogy platform hosts millions of names on hundreds of genealogy-related websites for locales, societies, and even individual family trees. Here’s what you should know about the situation–and how you may be able to access older versions of RootsWeb or other sites that are not currently available. On December 23, 2017, Ancestry.com reported receiving a tip that thousands of RootsWeb usernames and passwords were publicly exposed. Affected accounts were users of the RootsWeb surname list, which Ancestry discontinued earlier in the year. For those of you not familiar with RootsWeb, it’s a long-time free web platform where individuals and organizations can host their own genealogy-related websites. I often find sites there with information about counties I’m researching in and sites run by local genealogy societies. More than 11 million names are indexed or transcribed on RootsWeb sites–that’s in addition to the wealth of information you’ll find on local history, sources, and societies. Ancestry.com has been hosting RootsWeb since 2000. Even if this particular security concern doesn’t affect you directly, I encourage you to keep reading. 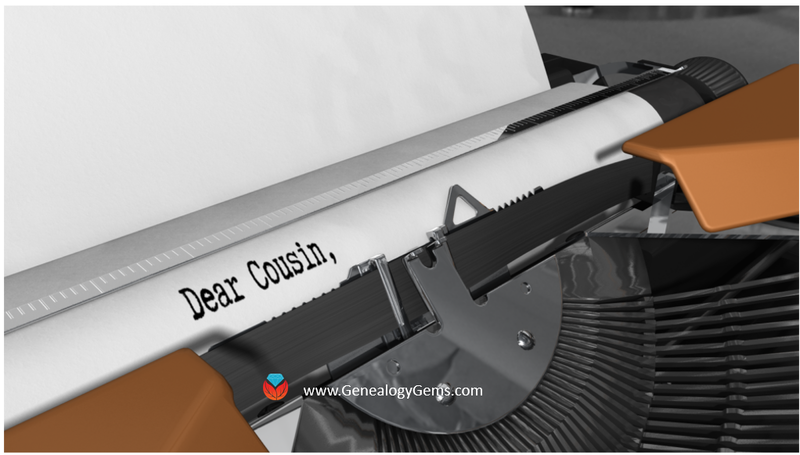 This scenario provides a perfect example of the kinds of data security, privacy, and loss issues we need to be aware of as genealogists. 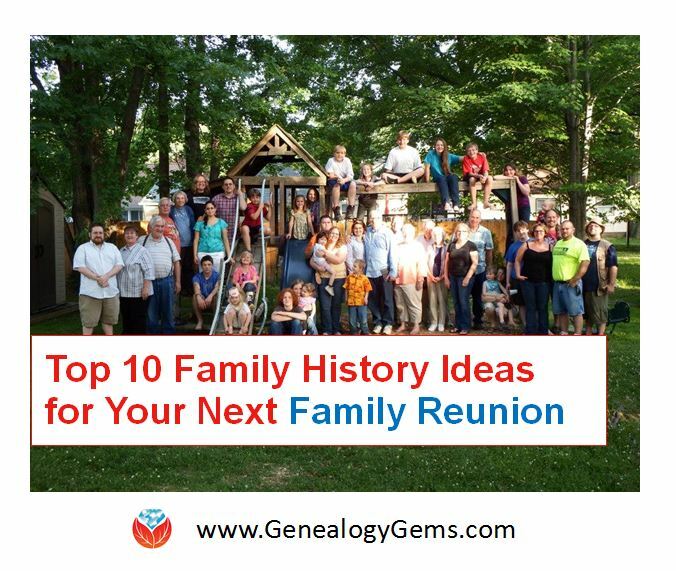 Even if you don’t have a site yourself on RootsWeb, it’s a common resource you will likely come across as you research your family tree. So here are a few take-home points for everyone, including advice on how to look at archived versions of any website that is temporarily down or no longer in service. No sensitive personal information such as credit card or Social Security numbers were exposed since RootsWeb doesn’t collect it. Ancestry found other RootsWeb login information that could have been potentially exposed, and they’re letting these account-holders know. Scroll down on the page a little to see a calendar, shown here, and you can click on highlighted dates on which updated captures were taken. 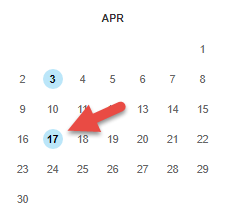 Click on the most recent highlighted date. 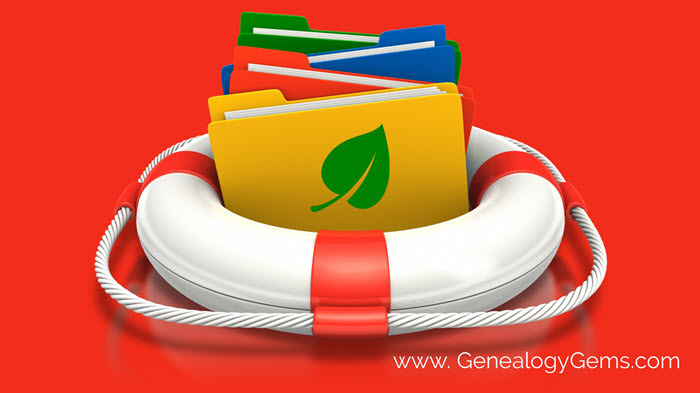 The true and deep loss is when there is no backup copy of painstakingly-collected genealogy data, whether it’s a family tree, research files, or over 11 million names in RootsWeb’s online indexes and transcriptions. I’m not implying that RootsWeb is permanently lost: Ancestry.com does mention its plan to “resolve this issue and enhance the RootsWeb infrastructure.” But if they don’t bring all of RootsWeb back (they admit it’s possible there will be some loss), or if your genealogy data is lost from any website or computer, you always want to have a backup plan in place. Saving digital copies of every document and artifact on your computer in organized, consistently labeled files. 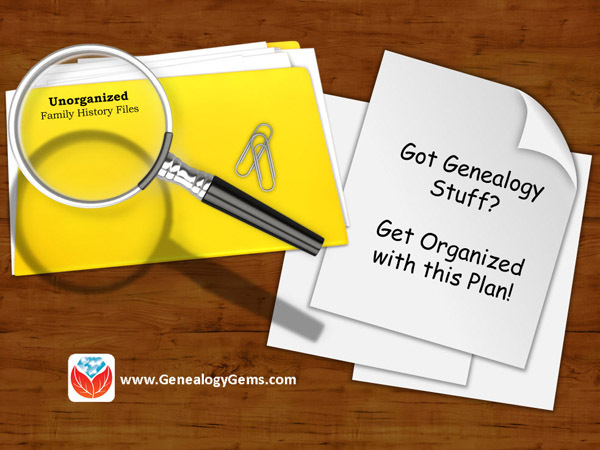 Listen to the free Family History: Genealogy Made Easy Podcast episodes 32-33 for a tutorial on naming and organizing these files. Keeping your master family tree in software on your own computer rather than online. Click here to read why. I recommend RootsMagic software. Backing up everything on your computer with a reliable cloud-based backup service. Click here to read about the features you should look for in cloud-based backup; I myself use and recommend Backblaze. Be sure to download the video class handouts on the video page. I can’t think of a better way to start the year off right than to take action to secure your hard-won data! 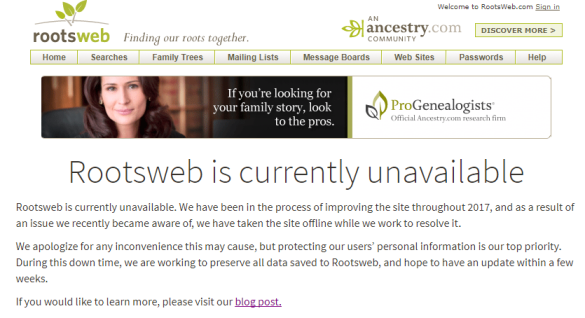 It has been over two weeks since Ancestry removed the Rootsweb sites. Is there any information if, or when Ancestry will put them back. Last we heard, it was indefinite. We’ll update here on the blog if we hear something different. Thanks for stopping by. will the coal miners sight be available again? I deleted some people who I put into ancsetry.com…duh. I have done a lot of work and can’t go any further. I have a married couple Amos and Caroline Pierce which is the root of the problem. If I could get their direct ancestors one of them will unlock me. Ancestry has no way of doing this for me. So far the only thing I could do is start a new Pierce tree and input all the information I have…hundreds. Do you have a suggestion on how I can get this branch back? I looked at My Heritage and that is too complicate.